N. 12, July 2001: "The Wedge: what happens when science is taken over by ideology?" By all accounts Phillip Johnson, a law professor at the University of California at Berkeley, is a congenial fellow with whom I'd like to have a beer one of these days. At the same time, he is keen to implement one of the most potentially destructive assaults on science ever consciously planned by a human being. He calls it the "Wedge" strategy, the idea being that there is a natural crack in the edifice of science and that evolution-deniers and other anti-intellectuals only need to widen the initial interstice to eventually bring down the whole evil tree of knowledge. Johnson published a short version of the wedge idea in his book with the unintentionally ironic title Defeating Darwinism by Opening Minds, and has followed up with another book called The Wedge of Truth. 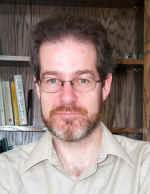 He publishes a weekly update on the Web site of the so-called Center for the Renewal of Science & Culture (CRSC), a mostly conservative Christian think tank consisting of a number of major creationists and intelligent design "theorists." The "crack" that Johnson thinks is going to be so fatal to science is the very well-known fact that science is based on some (reasonable) philosophical assumptions (such as the existence of a physical reality independent of the observer), and it is therefore not an entirely self-consistent enterprise. I will return to this point in another column because it is too important to treat it in a few words here. What I'd like to discuss instead is what the Wedge strategy is and what would happen if it succeeded. For the first task, I will rely on Johnson's own words and on a document published by the CRSC. Lacking a crystal ball but firmly believing that we do learn from history, I will attempt the second feat by briefly discussing what happened in another occasion in which ideology overcame good science in the recent past. The Wedge strategy document starts out with predictable rhetoric to the effect that belief in a personal God has been the bedrock of Western civilization, implying that if people should abandon such belief the end of the world would surely follow shortly thereafter. By the same token, of course, slavery was the economic cornerstone of the economy in the southern United States during the first century of its history, but-amazingly-that economy has survived and prospered even without slavery. The core of the Wedge consists of a detailed program, spanning 20 years, during which efforts will be made to bring about three phases labeled "Scientific research, writing and publication," "Publicity and opinion making," and "Cultural confrontation and renewal." The first phase is apparently already almost over. 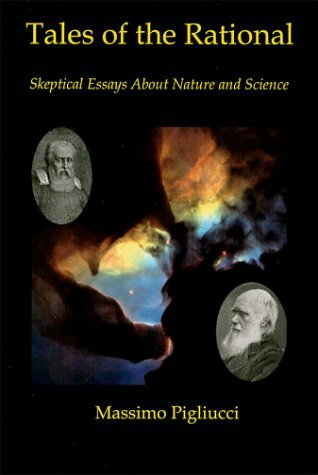 It took only a few years, no peer-reviewed publication, and a handful of books for intelligent design supporters to claim to have established the truth of their point of view and demolished hundreds of years of painstaking scientific research conducted by tens of thousands of scientists in laboratories world-wide. Kudos to the hyper-efficient fellows of the CRSC. We are now in the midst of the second phase, which interestingly includes such serious attempts at educating the public as engaging talk-show hosts and lobbying dimwit politicians on the evils of materialistic science. Hardly something one would expect from a serious intellectual think tank, but these are strange times indeed. Most interestingly, the third phase of the Wedge is entitled "cultural confrontation," something that immediately conjures up images of religious wars, and for a good reason: the underlying idea is essentially to turn the United States from a democratic republic into a theocracy dominated by conservative Christian groupthink. Suppose Johnson and co.-God forbid-will succeed. What will likely happen? Let us turn to a fairly recent example of ideology passed for science, how it came about, and what consequences it brought. In 1940 the leading Russian biologist Nikolai Vavilov was arrested and sent to a concentration camp at Saratov. The reason was that he was denounced by a rising star of the Soviet establishment, Trofim Denisovich Lysenko, an agronomist who had come to believe half-baked ideas about the inheritance of acquired characteristics that had been rejected by mainstream science a century earlier. Lysenko's wacky ideas fit perfectly well with Stalin's ideology: if the twisted version of dialectical materialism officially endorsed by the Soviet Union was true, then plants and animals (and by extension people) had to be infinitely pliable by changes in their environment and Mendelian genetics and Darwinian evolution must be simply the result of sick capitalist propaganda. Accordingly, Lysenko and his cronies took over Russian genetics and agriculture, exiling or putting to death the best scientists of that country and causing an economic catastrophe that probably didn't help the USSR withstand Western-imposed pressure during the arms race. Lysenko retained control of Soviet biology well into the 1960s, essentially holding the progress of Russian science in that area to pre-WWII levels. Of course, the rest of the world progressed while in Russia countless lives were ruined, economic opportunities were lost, and huge setbacks in science education afflicted a country in which ideology reigned supreme over reality. This, I submit, is what would happen in the United States if Johnson and his buddies succeed in implementing the Wedge strategy. It will not be the end of the world, and not even the end of science. There will be a brain drain of scientists and educators (and probably artists) toward more fertile intellectual grounds in other countries, and the good ol' US of A will be left behind and will eventually have to struggle to catch up over a period of decades (unpleasant as it may be, reality does have a way of reminding people of the practical limits of their fantasies). Meanwhile, we will experience the same kind of waste of human potential and economic resources that cursed the USSR under Stalin and Lysenko. It is somewhat amusing to ponder the symmetry between the two cases: communist and atheist ideology for Lysenko, religious and conservative for Johnson. The real danger does not seem to be either religion or atheism, but blind commitment to an a priori view of the world that ignores how things really are. In fact, if I believed in conspiracy theories, I would be tempted to suggest that the Wedge strategy is a communist plot to have the West experience the same kind of tragedy that the East went through and level the playing field. But I am too busy attempting to insure the failure of Johnson's dangerous campaign to idly speculate on whose orders he may be following. For all I know he could be a lonely evil genius acting directly on the Devil's orders. Next Month: "Frankenfoods vs. the neo-Luddites"